You can skip the short-shorts and still stay cool in the summer heat. Just because it’s hot out doesn’t mean you need to bare it all. Here are some wardrobe staples that will get you through the dog days of summer in style — and with your dignity intact. Sky Midi Dress ($84 at Moorea Seal, downtown, and mooreaseal.com). This breezy, lightweight dress in a cool-blue hue offers effortless style that can be worn everywhere, from the office to the beach as a chic cover-up. The versatile piece is loose and flowy, with a self-tie waist so it looks good on every body type. 7115 Reversible Tank in Charcoal ($132 at Glasswing, Capitol Hill, and glasswingshop.com). 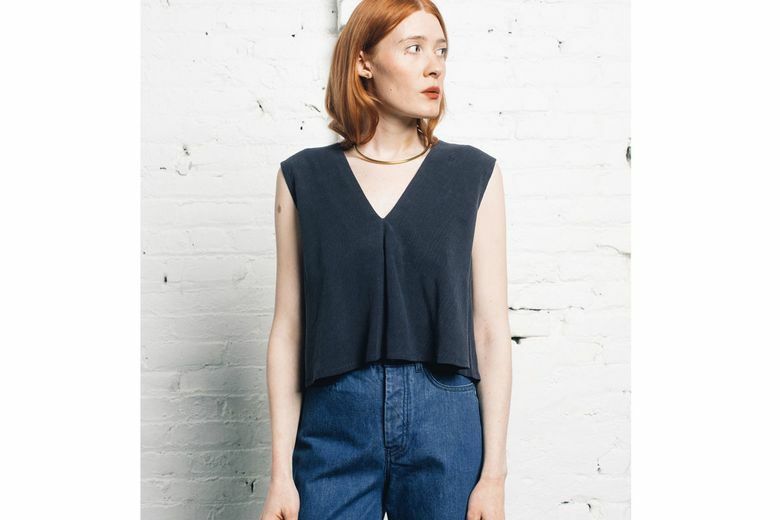 Make any summer look more modern with this slightly cropped, A-line reversible tank. Providing two looks in one piece, the top can be worn with a crew or V-neck in front. Oiselle Ceto One Piece ($84 at Oiselle, U District, and oiselle.com). Beat the heat with a dip in the pool. Made to stand up to the elements with sunscreen-resistant fabric from a renowned Italian mill, this locally designed scoop-neck with cross-back straps will keep you covered in all the right places. Madewell x Biltman Maya Braided Straw Fedora ($48 at nordstrom.com). 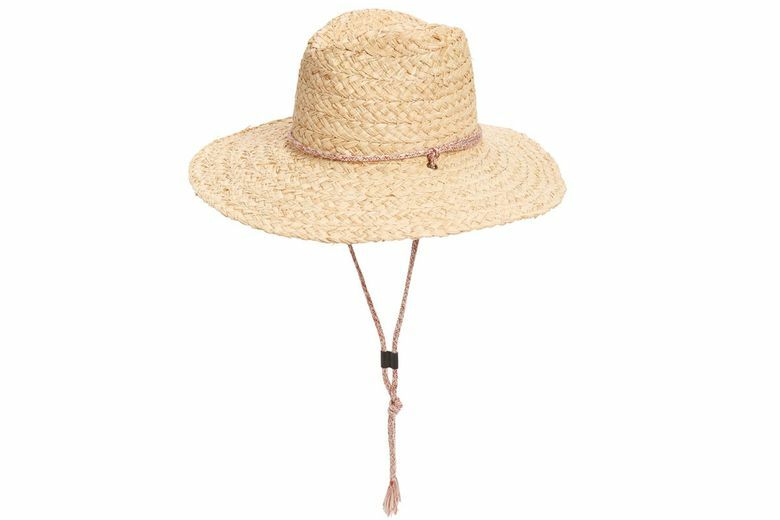 A breezy raffia hat worn to the beach is not only great for the Instagram feed, it also shields your face from harmful UV rays and keeps flyaways under wraps. 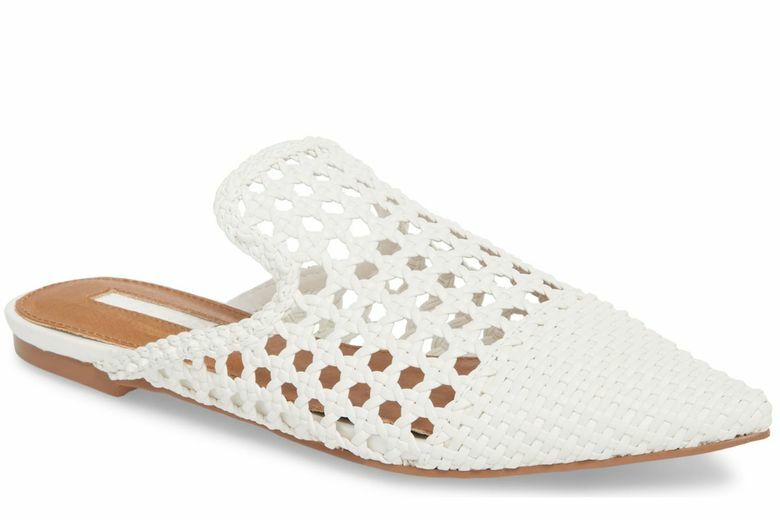 Topshop Knot Woven Mule ($68 at nordstrom.com). The mule trend isn’t going anywhere, but in the heat it needs a lighter look and feel. Take your summer workwear style up a notch with these airy, woven mules that won’t trap heat, but still have easy-cool style.